Bridge Mortgages provides an avenue for quick equity lines of credit to 100% to consumers countrywide with interest only 2nd mortgages for cash back and house repairs! Yes, Home equity lines for bad credit may be available if the applicant meets the lending criteria. Home Equity Lines for People with Bad Credit and Past Problems. To learn more of home equity line criteria and standards simply complete the quick form in the right column. Then you can sit back and wait for multiple finance banks who match your loan request to get back to you with eligibility answers, product details and qualified pricing. 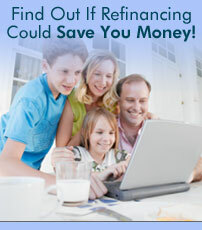 See company offers for home equity lines of credit for a range of borrowers seeking quick cash. There is no application charge or hidden cost with our financing system. An equity line of credit is a popular form of revolving credit in which your home is used as collateral. In most cases, credit lines are second mortgages, but every now and then, they will be in first position on title. Equity lines of credit are considered open-end mortgages and have a variable interest rate and a draw period. The draw period is the initial specified period which you are enabled to use the credit available on your equity line. After the draw period, the remaining balance is amortized for the repayment period. Your credit limit is determined by taking a percentage of your homes' appraised value and subtracting the balances of any outstanding mortgages on the property. 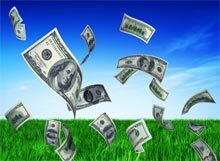 The maximum line of credit at this time is $500,000. If you qualify, the minimum home equity line is $10,000. The two major factors to determine the amount would be the "Combined Loan to Value" and the "Fic0 Score" as determined by Trans Union, Experian and Equifax. How do I use my equity line of credit? Shortly after your loan funds, you will receive a book of checks that will allow you to start using your credit line. Check with applicable lenders in regards to annual fees, as some lenders may charge a nominal fee. Remember to compare "apples to apples", when considering home equity line loans as rates, closing costs, annual fees and more must be disclosed in the Good Faith Estimate. This website cannot guarantee the rates on home equity credit lines or best terms available in the market. BridgeMortgages.com does not charge consumers for information or referral fees in conjunction with connecting people with mortgage lenders, brokers, credit unions or banks. Not everyone will be approved. Rates & credit terms are subject to change without notice. © Copyright BridgeMortgages.com 2003 – 2014 and Beyond. All Rights Reserved. The traditional fixed thirty-year mortgage remained affordable at 4.14%. This is up slightly from the 4.12% from the previous week, according to BankRate.com.